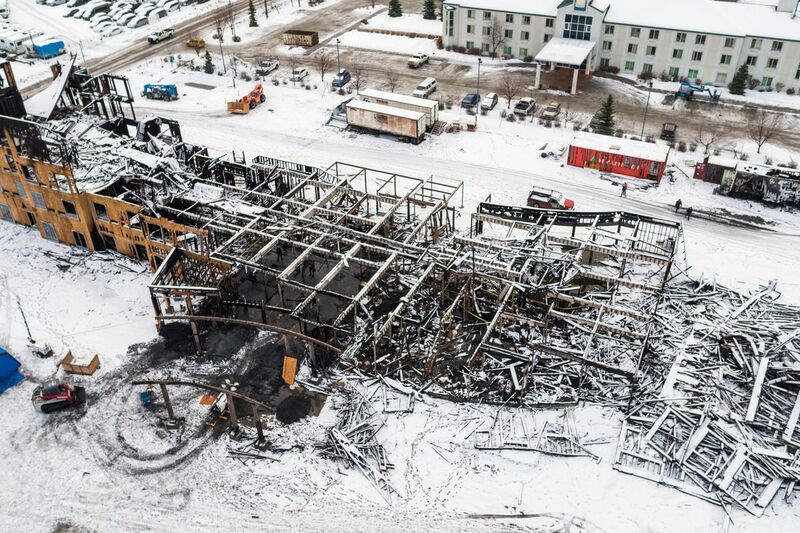 As investigators work to determine what has caused a string of large fires to damage at commercial properties across Anchorage in recent weeks, officials say the fires, though suspicious, do not appear to be connected. 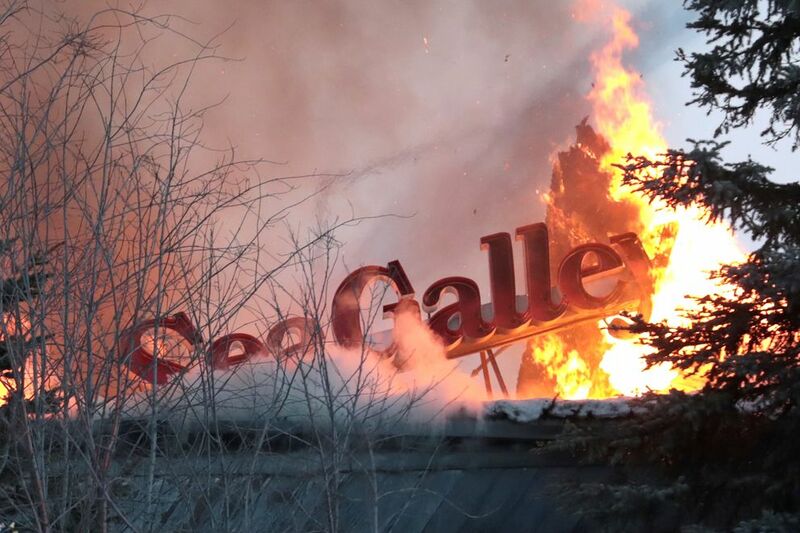 Seven fires have broken out at Anchorage commercial properties since the beginning of the year. Of those, at least three are believed to be intentional, and two are being investigated as arson, authorities said. A fire at a building that housed an electrical supply store, one at a home that also served as a business, and one at self-storage unit are not considered suspicious, fire officials said. The fires are, for the most part, unconnected, officials say. Fire officials do believe there is a connection between two fires that struck just three days apart at Yakitori Sushi House and Noodle World, which are housed in the same building on Tudor Road. Those two fires are connected “by location,” Fire Marshal Cleo Hill said, but it doesn’t appear that they are related to any of the others, nor do any of the others appear to be related to each other, she said. Hill has previously said having this many commercial fires in such a short period of time isn’t necessarily unusual. Three commercial fires were reported in Anchorage in January 2016, seven in January 2017, four that month in 2018 and five last month. Still, the fires have led to a torrent of speculation on social media and elsewhere. Hill also warned against circulating rumors about insurance fraud, a theory that surfaced on social media immediately after the first fire at a shuttered restaurant off of C street. “That’s pretty hurtful to the business community,” she said. 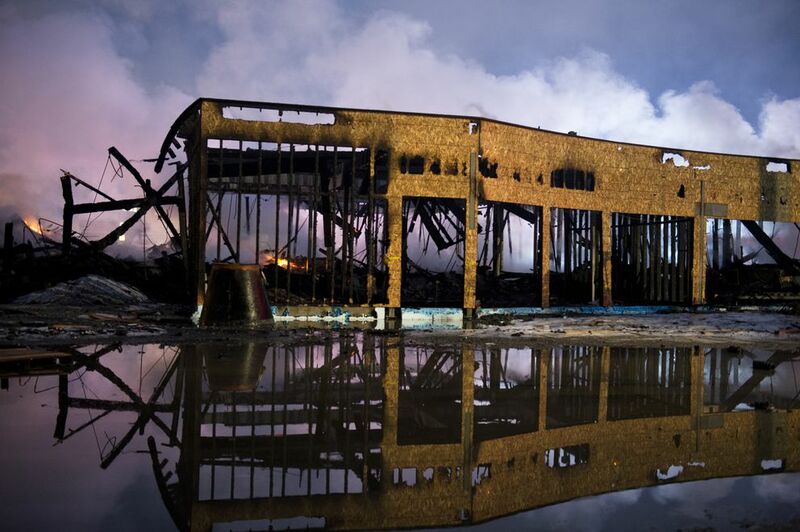 The shuttered seafood restaurant on Credit Union Drive in Midtown was destroyed in an early morning fire Jan. 3, about two months after closing its doors permanently. The building was set to be demolished the week it burned down, fire officials said. More than 20 firefighting units responded to the fire, which was called in at 6:17 a.m. The building was already engulfed when the fire department arrived on the scene, and the blaze took hours to completely extinguish. Fire investigators searching through the remains of the burnt out building found evidence of a break-in and determined “vagrants” were inside the building right before the fire started, Hill said. A fire official at the scene said the building’s utilities had been turned off and the fire suppression system wasn’t operational. The cause and origin of the fire are still under investigation, according to Assistant Fire Chief Erich Scheunemann. Fire officials have declined to say whether the fire was deliberately set. The under-construction hotel was still mostly wood and sheetrock when it was destroyed in a spectacular early morning fire on Jan. 26. The fire took more than a day to completely extinguish, with damages estimated at $20 million, fire officials said. Authorities are investigating the fire as arson, police said. Two dozen federal investigators with the Bureau of Alcohol, Tobacco, Firearms and Explosives were brought in from the Lower 48 to help investigate the fire. The Anchorage Police Department has asked for the public’s help identifying two men who were in the area at the time of the fire. The men, who were captured on surveillance video, are not described as suspects, authorities say. Developer Ric Marko of Affinity Hospitality said another camera at the construction site captured a still image of two young men on the property at 3:50 a.m., about an hour before the fire broke out. Marko said the men in the image had a “similar appearance” to the men captured on the surveillance footage, but the faces aren’t clear enough to determine whether they are the same people. The image has been turned over to Anchorage police, he said. Fire officials have compared the surveillance video of the two men to footage captured a later fire at the Yakitori Sushi House and determined the men in the two videos are not the same, Marko said. Fire and police officials have not released any information about the identities of the two men. Marko has previously said he thinks it’s unlikely that anyone who worked on the construction project was involved in setting the fire. 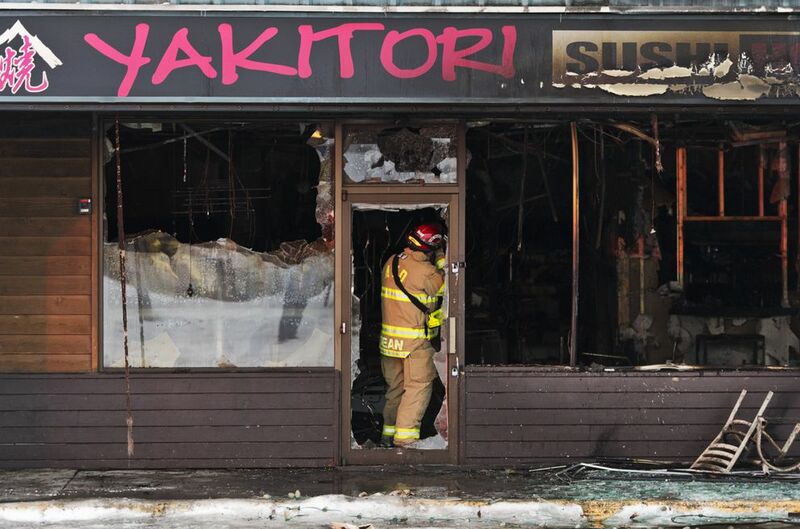 The six-year-old sushi restaurant on East Tudor Road was gutted by a fire early on the morning of Feb. 4. Authorities have determined the fire was caused by arson. Two men were captured on surveillance video fleeing from the burning building, and one discarded a flaming glove from his hand as he was running away. Police have identified one of the men as 36-year-old John Vang and issued a warrant for his arrest. The other remains unidentified. Vang is believed to have burn injuries to his lower body, and the other suspect is also believed to be injured, police said. Authorities said the arson is likely connected to an earlier break-in at Noodle World, a restaurant two businesses down from Yakitori, which happened shortly before the fire broke out. Authorities are asking for the public’s help in locating Vang. They have not yet released any information about the other man captured in the security footage. Owner Choon Chit Shim, who goes by the name Jeff, said he didn’t recognize the men. 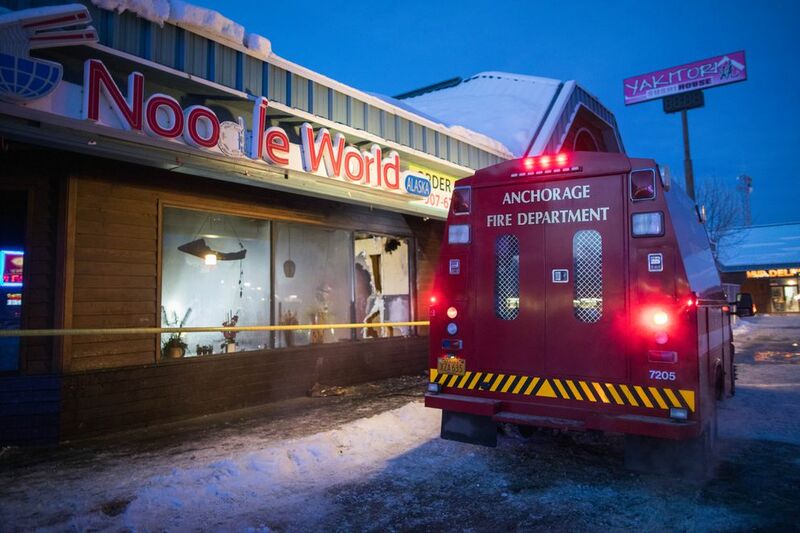 Fire officials believe the arson is likely connected to a fire that was intentionally set at Noodle World three days later, but it has not been made clear how the two are related. Three days after the Yakitori Sushi House burned, Noodle World, which is housed in the same strip mall, caught fire as well. Unlike previous fires, the Noodle World fire did not severely damage the building, although it did cause an estimated $10,000 in damage, Hill said. Firefighters quelled what Assistant Chief Erich Scheunemann a “minor fire” within seven minutes of receiving the call. The fire is still under investigation. Hill said a witness saw someone break into the building and set the fire. Fire and police investigators are still looking into how the fire at Noodle World is related to the fire at Yakitori.